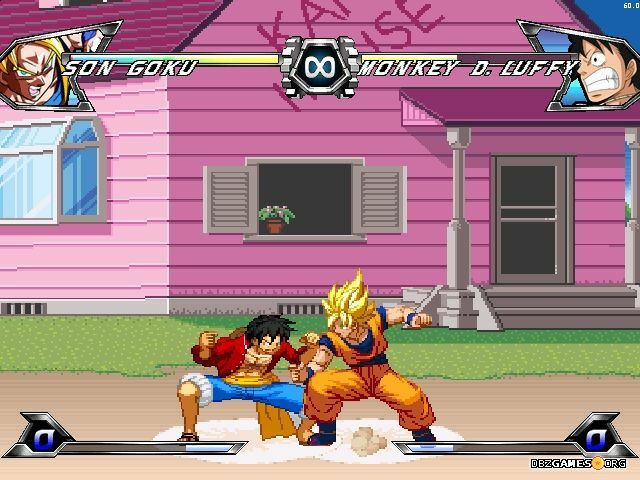 Dragon Ball Z vs One Piece Mugen is a classic fighting game made by Kenshiro99 using Mugen engine. The characters of two popular franchises meet in one place to see which world has better fighters. 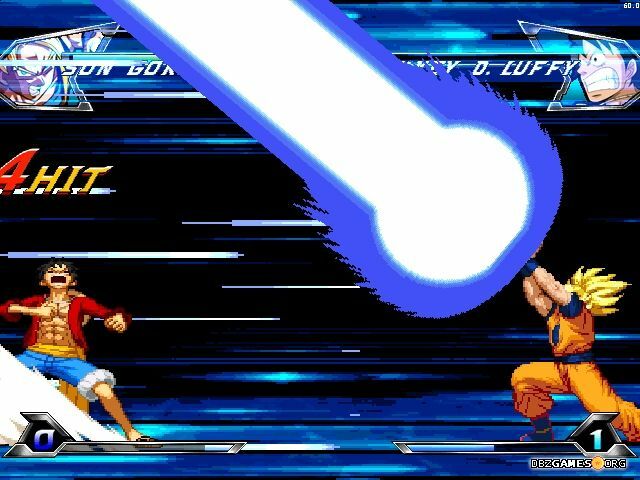 If you've ever dreamed about a duel of such legends as Goku and Luffy while you're reading manga or watching the anime, now you can experience it. Which side will you lead to the win? The game includes a total of 20 playable characters, 10 each from each franchise. 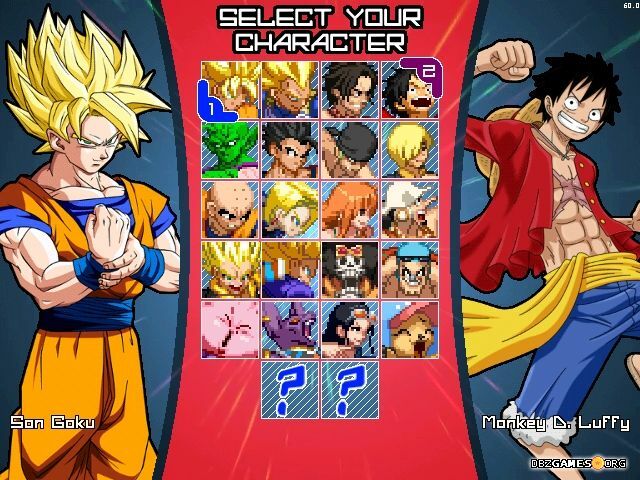 You can choose from well-known heroes such as Goku, Vegeta, Piccolo, Gohan, as well as Luffy, Zoro, Nami, and Sanji. The struggles are really exciting because both sides use their own mechanics and their strength is based on different elements. 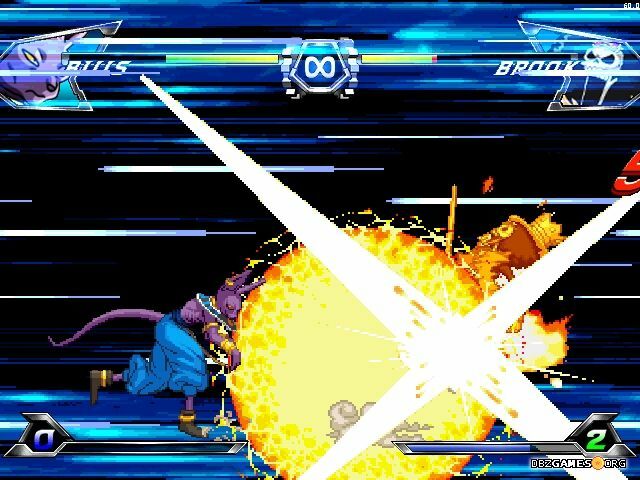 The Dragon Ball characters are known primarily from the powerful beam attacks, and the pirates from One Piece can perform deadly combos that will surprise many anime fighting game veterans. Stages are well-known places from both worlds, and although there aren't many of them, each of them is made at a high level. The combat system is dynamic and gives a lot of joy. 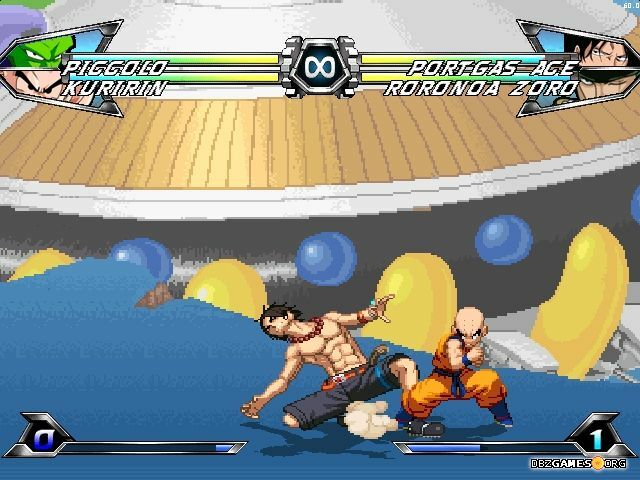 This is also a nice change as these days the majority of Mugen games is based on the JUS style, while here you will find graphics from games like Dragon Ball Z: Extreme Butoden and One Piece: Great Pirate Colosseum. The game has many modes in which you can test your skills. 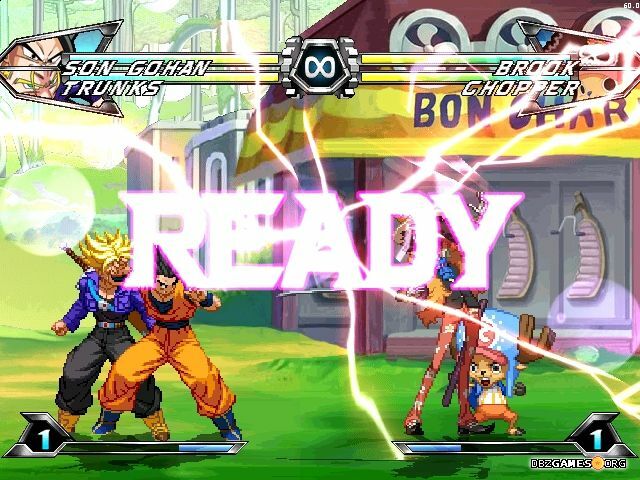 Arcade is the main mode in which you'll fight with random opponents from both franchises and the further you get it will be harder. A variation of this mode is Survival, where the fight is much more tactical because your health is not renewed after the fight. 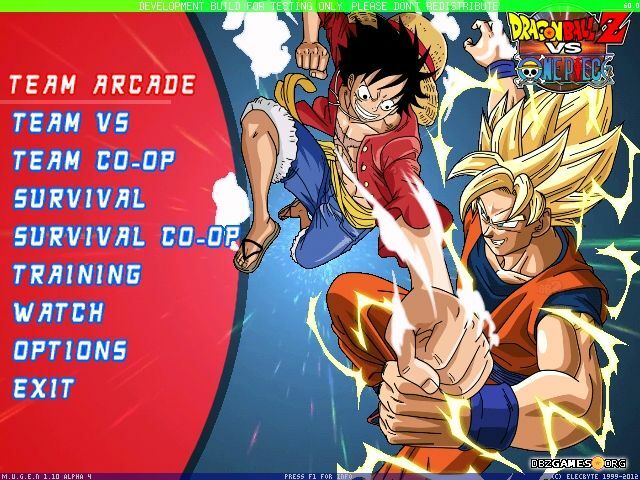 If you like team fights, Dragon Ball Z vs One Piece Mugen also includes several modes in which you'll take part in 2-versus-2 fights in the Tag Team system. 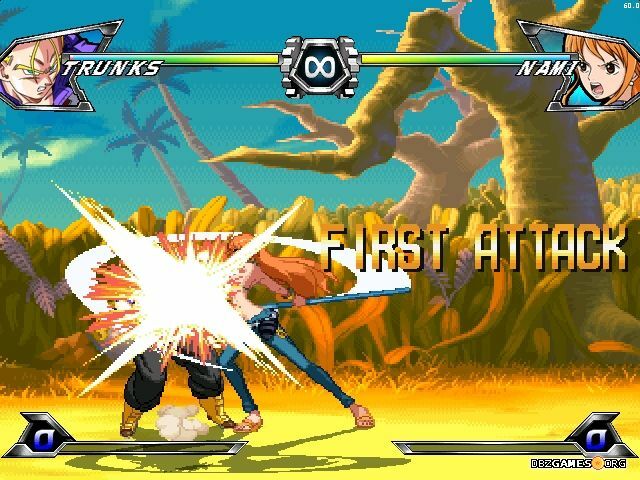 Unlike most Mugen games, there are no 2-versus-2 matches in which 4 characters are fighting at the same time. If you want to play with your friend, you'll be happy that most game modes have a multiplayer version. You can fight with each other or cooperate and fight against characters controlled by computer AI. This game doesn't need to be installed. Extract the downloaded file (you can use WinRAR for example). Some character folders (Game/chars/) include Read-me file, in which you can find special moves and tips how to play more effectively.